Well, they all do it. Sell lesser – and nicer – versions of their big SUVs. For less – and more – money. GM has the Chevy Tahoe… and the GMC Yukon. There’s the Cadillac Escalade, too. Same basic thing, sold three different ways- each progressively fancier and (of course) more expensive. The Tahoe, for example, shares its frame and basic layout with its pricier GMC and Cadillac-badged siblings. But it does not even offer the engine that’s available in the GMC-badged version – and which comes standard in the Cadillac-badged version. There are other such functional differences. You get, in other words, what you pay for. But, once in awhile, you get less. Have a look at this new Nissan Armada, for instance. 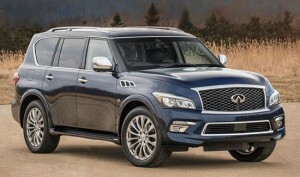 It is nearly identical to the Infiniti QX80 – with which it shares not just a basic layout (“platform”) but pretty much everything except the Q’s stylistically questionable Guild Navigator from the ‘80s movie Dune bulbous front clip. You get the same 5.6 liter V8 (downrated slightly on paper, but still the strongest in the class) that powers the Q and the option to buy almost all the creature features (including a dual LCD back seat entertainment system) that are available in the Q. 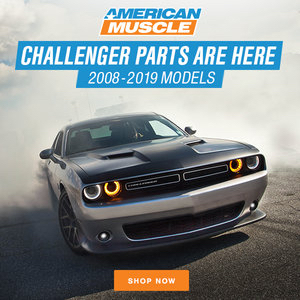 The only things you can’t get are the Q’s Hydraulic Body Motion Control (HBMC) auto-adjusting suspension system and the option to buy 22 inch wheels (the Armada’s wheels max out at 20 inches). 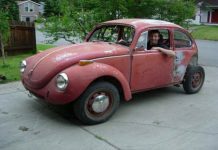 A small price to pay – for about $20k less to start. The Armada is a better-looking (and much more attractively priced) Infiniti QX80. Most of the differences are cosmetic and most of those are exterior cosmetic differences. 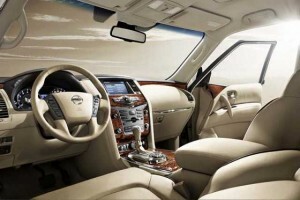 The Armada’s interior layout is virtually identical to the Qs, which is either good for Nissan or bad for Infiniti – depending on your point of view. Both are based on the new (second generation) Titan truck and feature (like others in this class) three row seating, body-on-frame construction, the ability to pull an 8,000-plus pound trailer and are available with truck-type (heavy duty) 4WD with a two-speed transfer case and Low range gearing. The Armada is however bigger – and brawnier than – competing models like the Chevy Tahoe and Ford Expedition, which are physically smaller and also have smaller engines (or fewer cylinders). And it’s a much better deal: $44,400 to start vs.$47,215 for the least expensive version of the Tahoe and $46,225 for the base Expedition. A loaded 4WD-equipped Armada Premier trim comes in just under $60k ($59,990) vs. $65,030 for a top-of-the-line Tahoe and $68,996 for a top-of-the-line Expedition Platinum EL. And $63,250 for the least expensive (and still 2WD) version of the QX80. You might also want to cross-shop the Toyota Sequoia – but it’s an almost ten-year-old design (“all new” back in 2008) and showing its age. It has the lowest gas mileage (13 city, 17 highway) and max tow rating (7,400 lbs.) in the segment. 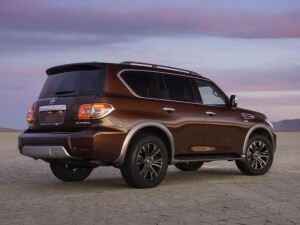 The ’17 Armada is a bit larger (longer and wider) than the previous model, with class-leading second row legroom, a much more powerful standard engine (390 hp now vs. 317 previously) and safety features such as Predictive Forward Collision Warning, Backup Collsion Intervention and Moving Object Detection, which weren’t offered in the old Armada. 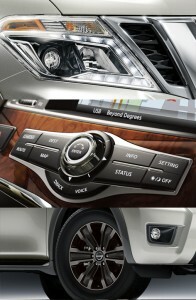 Exterior and interior styling are also new. 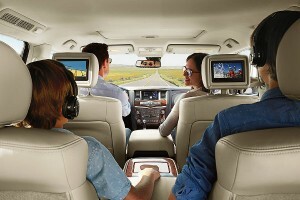 More standard engine and horsepower – and amenities, including a 13-speaker Bose stereo rig – than Tahoe or Expedition. Basically the same thing as an Infiniti QX80, at a much lower price. Arguably a nicer-looker than the weird-looking Q. 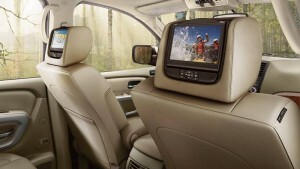 Roomier second row than Tahoe or Expedition. 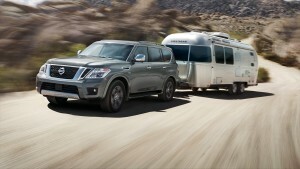 Tow rating no longer best in class (previous Armada could pull 9,000 lbs., this one maxes out at 8,500). A 2017 Tahoe can pull 8,500 lbs. and the 2017 Ford Expedition has the current best-in-class max tow rating of 9,200 lbs. It’s a behemoth – almost half a foot longer overall than a Tahoe. Widest turning circle (20.6 feet) of the bunch. 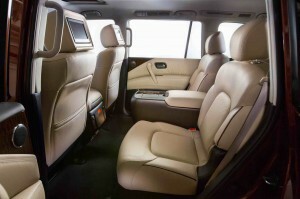 Not as much cargo room as Expedition (and much less cargo room than long-wheelbase Expedition EL). 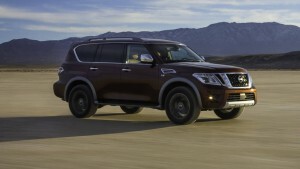 What you’ll find here is the same thing you’ll find under the hood of the QX80: An updated (direct injected, higher compression) version of Nissan’s 5.6 liter V8 engine. 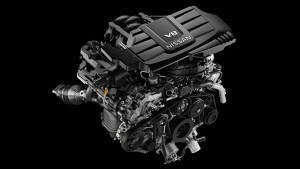 In the higher-priced Q, the V8 supposedly makes more power: 400 hp and 413 ft.-lbs. of torque vs. 390 horsepower and 394 ft.-lbs. of torque. But a look through the technical specifications comes up dry as far as any reason for the difference in rated output. The engines are mechanically identical and built on the same line in Tennessee. It is almost certainly the case that the QX’s rating is higher because its price is higher. Regardless, it’s the strongest engine in this class. The Chevy Tahoe’s 5.3 liter V8 makes 355 hp and 383 ft.-lbs. of torque. The Expedition doesn’t even offer a V8 anymore. It is powered by a twin-turbo 3.5 liter “EcoBoost” V6 that makes 365 hp (and, to give it its due, a very impressive 420 ft.-lbs. of torque). Hence the Expedition’s class-highest max tow rating. However, there have been customer complaints about the real-world performance (and pulling power) of Ford’s twin-turbo V6 engine. And regardless, it is an inherently more complicated engine, with potentially very expensive components (two turbochargers and all the peripherals) that you won’t ever have to worry about with a simpler, inherently less maintenance-intense V8. 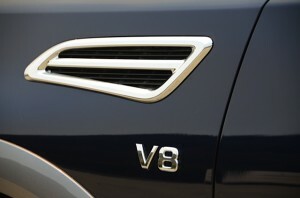 Ford’s decision to back away from V8s in favor of smaller (and tubocharged) sixes even in big SUVs like the Expedition was based on fuel efficiency considerations, but the Expedition’s EPA numbers – 15 city, 22 highway for the 2WD version and 15 city, 20 highway with 4WD – are not spectacularly better than the Nissan’s (14 city, 19 highway with RWD, 13 city, 18 highway with 4WD) and are slightly worse than the V8-powered Chevy’s (16 city, 23 highway for the 2WD version and 16 city, 22 highway for the 4WD version). In real-world/mixed use driving, all these buses will typically average in the mid-high teens. 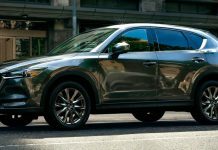 Which sounds awful but isn’t when you take a look at the mileage stats posted by large crossovers (like the Mazda CX9 I reviewed recently; see here) that have much smaller engines and far less capability. These average low 20s. Which is awful given what they can’t do vs. what a big SUV can do. Like pull an 8,500 lb. trailer, for instance. That’s the Nissan’s rated maximum capability. The Ford can pull more (also the Tahoe) but it’s worth a mention that the Nissan’s max tow rating is the same for both 2WD and 4WD models. The Tahoe’s max tow rating (8,600 lbs.) 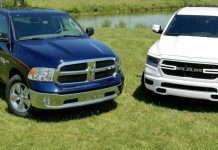 is only with 2WD; the 4WD version’s rating slips to 8,400 lbs. – 100 lbs. less than the 2WD or 4WD Armada’s. The Ford’s max tow rating (9,200 lbs.) 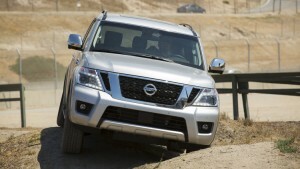 is the same whether you choose 2WD or 4WD, but goes down slightly to 9,100 lbs. if you choose the long-wheelbase EL version. It’s still king of the hill when it comes to pulling, though. 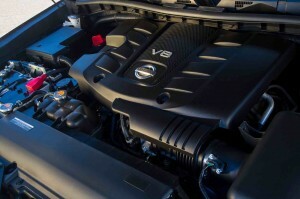 Behind the brawny 5.6 liter V8 is a new seven-speed automatic (the Ford and Chevy still use six-speeds) and in addition to the extra gear, the Nissan’s automatic features rev-matching downshifts, an unusual (and cool) thing to find in a burly SUV. 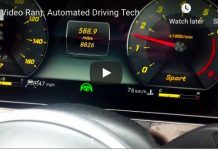 There are also driver-selectable Snow and Tow modes for the transmission, which when engaged alter shift points to suit those conditions. 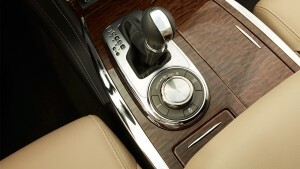 The optional All-Mode 4WD system is fully electronic, with driver-selectable Auto, 4H and 4LO modes. The two-speed transfer case has a 2.70:1 ratio when 4LO is engaged. One downside – if you like power-brake burnouts – is you can’t do them in 4WD models because the 4WD is basically always on. There is no 2H (2WD) setting. 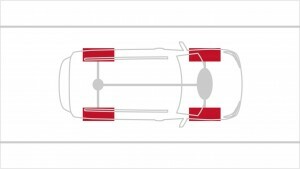 In Auto, the system will automatically send power to the front wheels (as much as 50 percent) if the rear wheels are slipping. So – try as you might – you can’t get the rear wheels to slip. On the upside, you don’t really have to think much about when to engage the 4WD. Unless the going gets really rough, Auto will cover you when you run across the occasional slick spot – and will just as automatically revert to 2WD (RWD) when the road is dry and traction is good, reducing wear and tear on the system and using a bit less fuel, too. Speaking of which: Though the updated 5.6 V8 is a very high compression engine (11.2:1 vs. 9.8:1 previously) it is designed to run on regular unleaded. 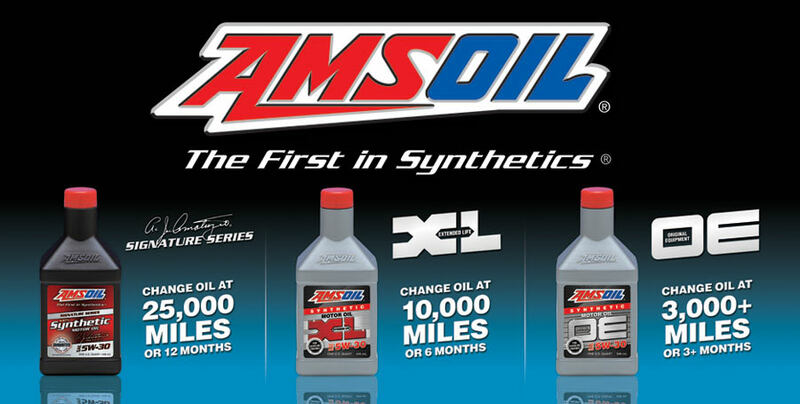 This is one of the perks of direct (vs. port fuel) injection. The engine also features variable valve timing and lift, which basically ramps up the aggressiveness of the valvetrain’s geometry to let the engine make more power when needed, but dials it back down otherwise, to maintain reasonable fuel efficiency and smooth operation. It may not let you do a burnout, but this thing’s a ripper. Zero to 60 in about 6.3 seconds, which beats the twin-turbo’d Ford (6.5 seconds for the 2WD version) and blows the V8 Chevy (7.1 seconds for the 2WD version) into the weeds. For a 5,600 pounder (and that’s the 2WD version) this is spectacular, almost walk-on-water performance. The Tahoe is nearly 300 pounds lighter (5,356 lbs for the 2WD version) and it’s still a full second slower. To go faster than the Nissan, you’ll need to go up in price – to something like the GMC Yukon Denali, which comes with a 420 hp 6.2 liter V8. It also comes with a $65,965 base price. Or, the QX – which comes with a $63,250 base price. The Ford is the only other SUV in the Armada’s price ballpark that almost matches its straight-line heroics – but you pay more up front ($1,825) about the same at the pump and will have to take a leap of faith about the long-term prospects of that twin-turbo six. You can’t get the Q’s Hydraulic Body Motion Control suspension – which tamps down body roll when cornering hard by stiffening up the shock valving on the inner front and rear wheels during high-load cornering, to compensate for weight shift – but you have to be really cornering hard for this to be a noticeable benefit. What’s more everyday noticeable is the big Q (er, Armada’s) physical proportions. It’s about half a foot longer overall than a Tahoe and its turning circle is about a foot wider (20.6 feet vs. 19.5 for the Chevy; 20.4 for the regular wheelbase version of the Ford) and that makes it a bit more awkward to park, especially given that most parking spots are sized to fit much smaller cars. These full-sized ‘utes are also very wide: 79.9 inches for the Armada (for a sense of scale, a mid-sized sedan like the Toyota Camry is 71.7 inches wide) and that adds to the Squeeze Factor, as far as slotting into parking spots designed for Camry-sized cars and having enough room on either side to open the doors wide enough to get in and out not-awkwardly (and without dinging someone else’s door). The Armada also sits higher off the ground than others in this class: 9.1 inches vs. 8.3 for the Ford Expedition and (surprisingly) just 7.9 inches for the Chevy Tahoe (this is less clearance than many light-duty/car-based crossovers have; that Mazda CX-9, for instance). There are grab rails built into the A pillars on the driver’s and front seat passenger’s side to aid with climbing on board. 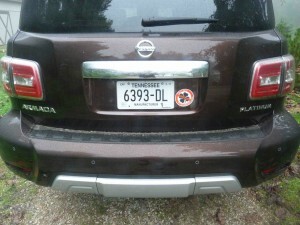 Also running boards along the side. The Armada’s generous ground clearance doesn’t mean rolly polly handling (see above) and will be a help as far as dealing with winter weather, even if you don’t buy the 4WD version. 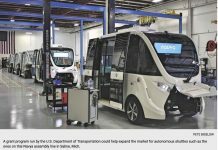 All the vehicles in this class have full perimeter steel frames that the body bolts onto – with rubber biscuits in between. 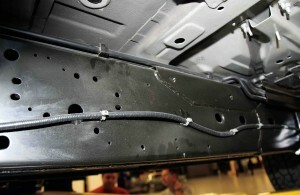 Light duty crossovers typically have welded-together bodies and frames (i.e., unibody construction). Body-on-frame construction (with those rubber biscuits in between) is heavier – not so good for gas mileage – but nothing tamps down pothole reverbs better. The Armada, though, is particularly posh, probably because its an Infiniti in drag while the Tahoe is a de-contented GMC (as the Expedition is a less-than-Lincoln). Quiet, too – in part because it has high-end acoustic-tempered side glass and windshield. It also gets the same insulation as the QX… because it is a QX. If money weren’t an issue, most people would probably go for the Yukon over the Tahoe – and a Navigator over an Expedition. You get more stuff. Nicer stuff. With the Armada, you pretty much get the same stuff – for a lot less money. And you don’t get the Q’s face. Those weird low-mounted headlights, that protruding forehead. 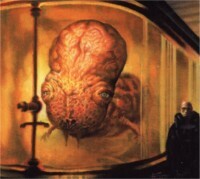 It really does look like a Guild Navigator from Dune. I’d rather have the Armada. Basic handsome truck face here. Very similar to the mug of the Titan pick-up. 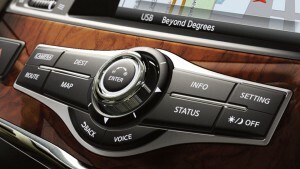 Inside, though, it is virtually identical to the Q – and that’s a good thing. Same wraparound/bathtub dash shape and instruments (minor differences in backgrounds/fonts). 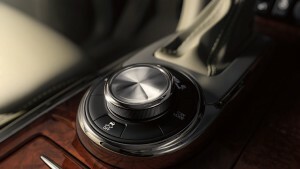 The identical center stack and center console and controls, including the rotary knob controller behind the shifter for the 4WD system. 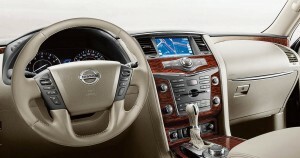 You get different leather and wood trim plates, but neither looks less nice. The top-of-the-line Platinum trim gets second row seat heaters, a heated steering wheel and the same dual-LCD entertainment system (with wireless headphones) you’d find in the Q. 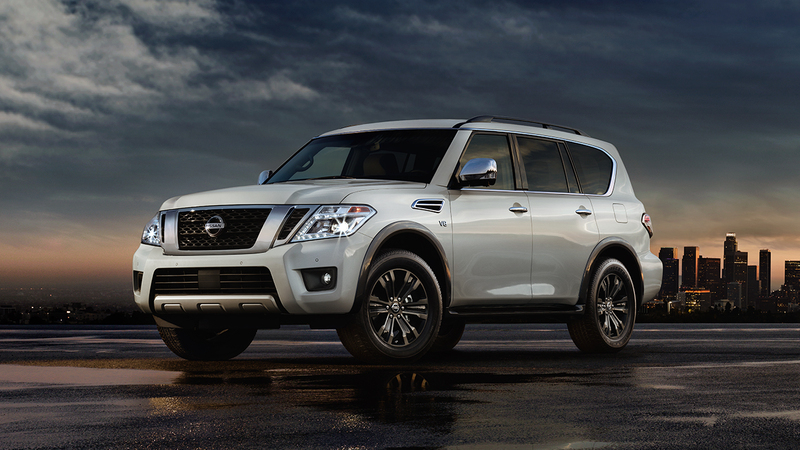 But at a discount of $6,160 vs. the price of the base QX80 ($57,090 vs. $63,250). And the base SV trim comes with more (such as that standard 13 speaker Bose stereo rig and the 390 hp V8) for much less than its Tahoe and Expedition rivals. You also get a larger (8 inch) main LCD touchscreen than in Expedition, which comes standard with a puny 4.2 inch screen (and a gauge cluster that’s generically similar to lesser Fords). 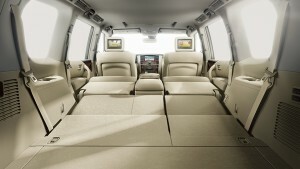 The Expedition, however is available (uniquely, in this class/price range) in a long wheelbase version which you could almost move into: 42.6 cubic feet behind the third row (vs. 16.5 for the Armada and 15.3 cubic feet for the Tahoe) and 130.8 total with the second and third rows folded (vs. 95.4 in the Armada and 94.7 in the Tahoe). Put a mattress back there, a mini-fridge… and cue your inner Chris Farley. In some ways, the Armada is more like a high-riding (and really huge) luxury sport sedan than a truck-based SUV. Not in terms of design, but of look and feel. The Tahoe, for instance, has a “trucky” column shifter and a main gauge cluster very similar to a Silverado 1500s. The Ford is likewise F-150-esque on the inside (though it also has a console-mounted gear selector, like the Nissan). The only gripe I’ve got is the absence of a transmission temperature gauge (important, if you’re going to tow) and the lowered max tow rating – which is odd given the ’17 Armada’s not only got more engine than the previous model, it also has a beefier frame. It ought to be able to pull more than the Tahoe, especially. Imagine being able to buy a Yukon Denali for a Tahoe price. That’s basically what you’re looking at here, Nissan-Infiniti-wise. And in a nicer looking wrapper, too. I think I found your horsepower difference, Q’s specify Premium fuel on the fill door, the Nissan is OK’d for regular 87, I bet the difference is what grade gas you put in it. And that you canget away with putting reg in the Q, just expect the 390hp rating, and you probably bump up to 400hp in the Nissan as the ECM lets the knock sensor tell it which fuel map to use. You nailed it with the Dune comment. I couldn’t figure out what bothered me about them before reading that and had a laugh. Now it’s all I’ll see when I look at a QX80/QX56. Any word if they are planning a “cross cabriolet” model ala Murano? I see a lot of the Infiniti Q’s in my area. They look much better on the inside looking out, than the outside looking in. Purely subjective of course. But I think the Infinity version is better looking. Not that a mega-sized SUV is on my shopping list. 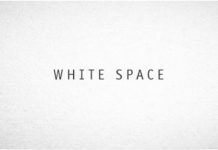 But if it were….and if cost were no object…. (two Very Big hypotheticals,) I’d get the QX80. 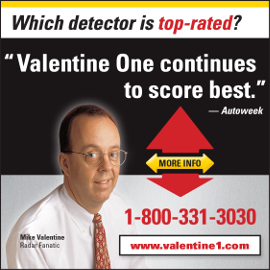 I’ll take the “stripper” model. Oops!